Sorry, we're currently closed and will open THU - 12:00PM. Pre-order now for later. Hand scooped, super thick shakes, hand finished to perfection add option with or without cream. Order food online in Didsbury! It's so easy to use, fast and convenient. Try our new, online website which contains our entire takeaway menu. The Cakeaway is located in Didsbury, Manchester.You can now order online, all your favourite dishes and many more delicious options, and have them delivered straight to your door in no time at all. Here at Cakeaway we are constantly striving to improve our service and quality in order to give our customers the very best experience.As a result, we are finally proud to unveil and introduce our latest improvement, our new online ordering website! 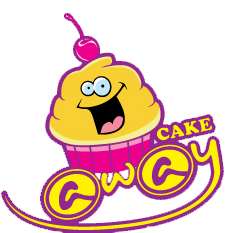 You can now relax at home and order your favourite, freshly prepared meals from Cakeaway, online. You can even pay online! Cakeaway makes every attempt to identify ingredients that may cause allergic reactions for those with food allergies. Every effort is made to instruct our food production staff on the severity of food allergies. However, there is always a risk of contamination. There is also a possibility that manufacturers of the commercial foods we use could change the formulation at any time, without notice. Customers concerned with food allergies need to be aware of this risk. Please be aware that our facility prepares foods and uses ingredients in our products that contain dairy, milk, eggs, nuts or nut oil. If you have any type of food allergy, please refrain from eating our products.